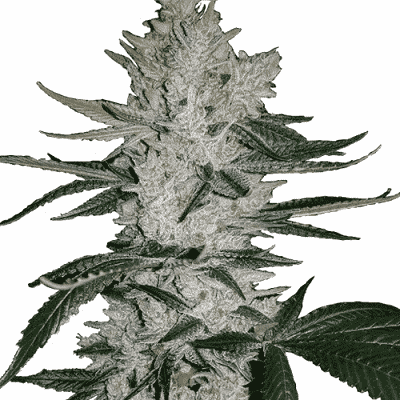 Gorilla Glue marijuana seeds are a highly popular choice for both indoor and outdoor growers, and are one of the latest additions to our feminized seeds collection. 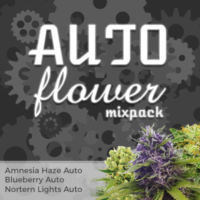 Created from a blend of three strains, Chem’s Sister, Chocolate Diesel and Sour Dubb, it contains an equal mix of both Sativa and Indica genetics, generating a powerful ‘body-stoned’ effect. Great for night-time use and an aid for relaxation. Gorilla Glue marijuana seeds thrive in warm, sunny conditions and will develop into large, tall plants when cultivated outdoors over an entire season. Indoor growers should only vegetate the seedlings for a short time before sending them to flower, avoiding any height issues in later flowering. Super-cropping techniques and low-stress training can also help to minimize the overall height of the plants, while helping to further increase the yield. The genetic blend of almost equal amounts of both Sativa and Indica genes, produces a tall, fast-growing plant that requires little experience or previous knowledge to generate good results. The buds are large and dense, with a thick, sticky coating of glistening resin. Flowering times are average, requiring between 8-9 weeks for the buds to completely mature indoors, and mid-October harvests when grown outside. With reasonable conditions, good lighting and air quality, indoor growers can expect to harvest approximately 18 ounces of dense, sticky buds per square meter. 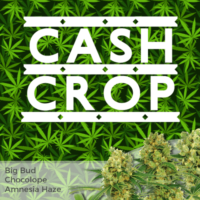 Grown outdoors, in a warm, sunny climate, individual plants can yield up to 21 ounces of good quality buds, when cultivated over the entire growing season. Gorilla Glue marijuana has become extremely popular with both growers and smokers. 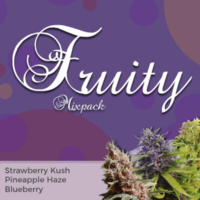 Its stable characteristics mean similar buds every time, guaranteeing a large, high quality and easy to grow harvest of dank, sticky buds. 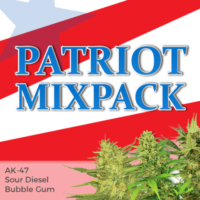 Now available in packs of 5, 10 and 20 feminized seeds, all sold inclusive of guaranteed, stealth delivery to all parts of the USA, Canada and Europe included in the price. Dank, sticky buds with a 28% THC content and couch-locking body-buzz. Gorilla Glue feminized marijuana seeds are considered a ‘cash-crop’ strain, producing large yields of high quality, sought after buds. Often prescribed to combat insomnia, it’s a great strain for smoking at the end of the day when you wish to relax and unwind. It can also act as a powerful appetite stimulant and help reduce nausea.